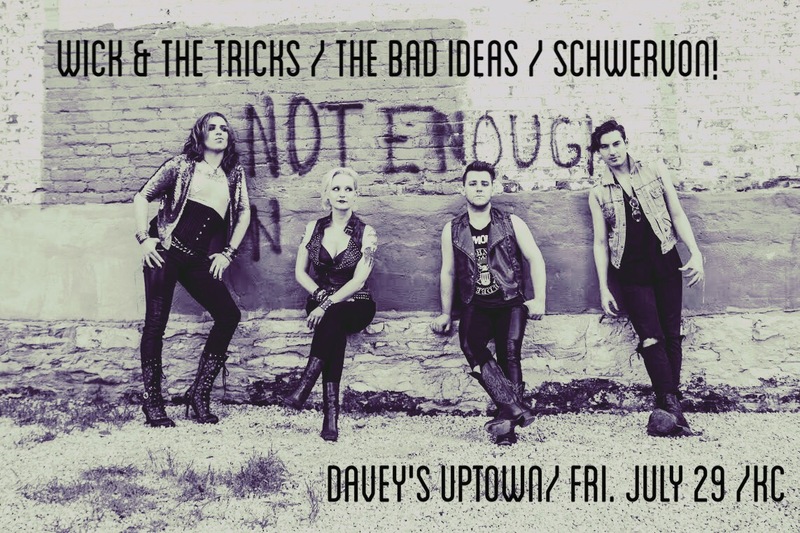 Next Show: Friday July, 29 KC, MO @ Davey’s Uptown w/ Wick & the Tricks + The Bad Ideas | Schwervon! This entry was posted in Uncategorized and tagged schwervon live, Wick and the Tricks. Bookmark the permalink.